Today, almost all style experts and men’s fashion magazines agree that the flow hairstyle is the top trend of the year. 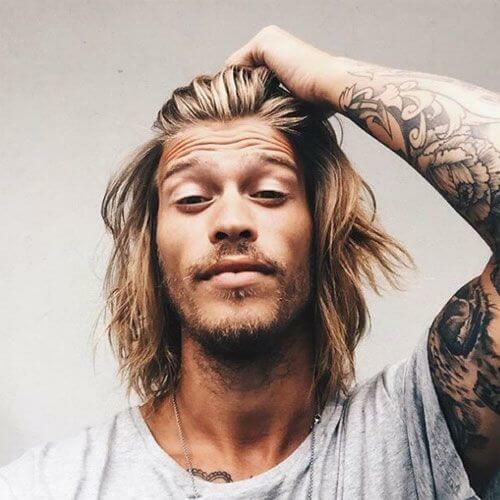 From hockey or baseball players to red carpet celebrities, it seems that all guys have ditched neatly-cut hairstyles for the casual flowing look. You can try the hairstyle for your next hair appointment, with the help of an example from our selection below. 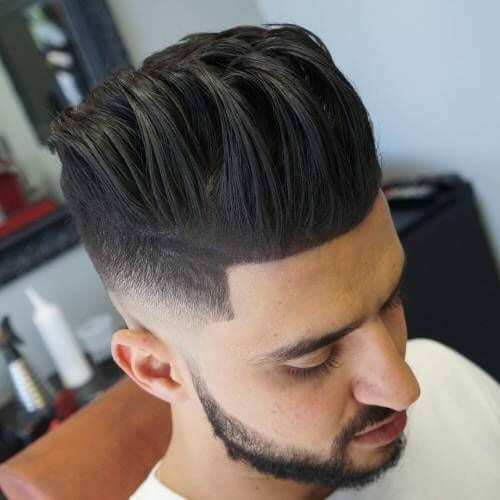 Pulling off a flow hairstyle is a breeze if you have a layered haircut. As long as your hair is properly layered, your locks should flow into place without any issues. It also helps if your hair is at least slightly wavy. 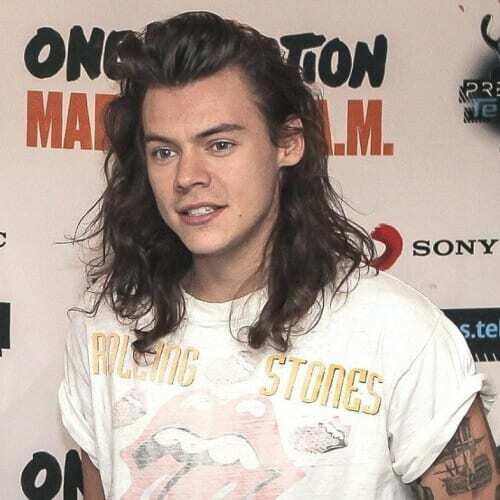 Harry Styles is easily one of the best examples of what flowing hair should look like. No matter what haircut he has, the 1D star always seems to have flawless locks that flow around him. Here, you can see what his shoulder-length flow cut looks like. Contrary to what some may believe, you don’t require medium or long hair for a flow hairstyle. Actually, you can start even when your hair is freshly cut short. It’s all in the technique that your hairstylist uses to layer your hair. 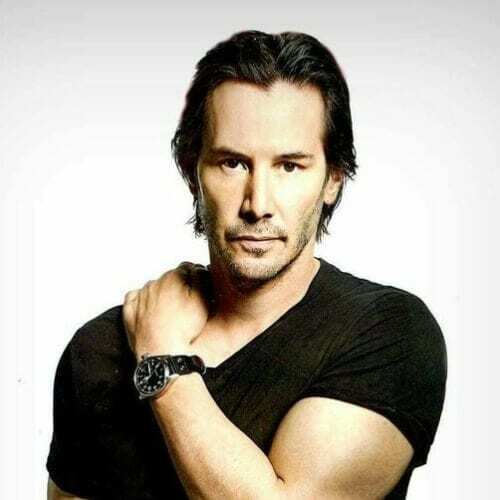 Keanu Reeves has been rocking the bro flow before it was ever a trend to begin with. For as far back as we can remember, the exceptional actor has been wearing medium-length, flowing hair. It goes to show that you can beat a receding hairline with style. The flow hairstyle is often associated with specific sports and the way athletes wear their hair. What most of us know as the “hockey haircut” is the perfect example. Just one player known for their signature hairstyle is Nicklas Bäckström of the Washington Capitals. In addition to hockey stars, baseball players are also known for adorning flowing locks. Brandon Crawford is definitely an example to follow. 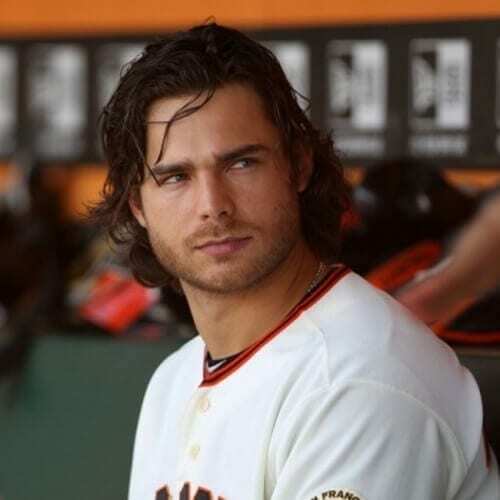 The San Francisco Giants player prefers messy hairstyles in medium length. Your hair doesn’t have to be cut evenly for you to have a flow hairstyle. As a matter of fact, you can choose to focus on a particular area of your hair to get the flow effect. For instance, you can have your hair normally cut all around and leave your bangs longer. If you’re looking for balance in your flow haircut, we suggest that you try out the hairstyle in the photo above. The hair barely reaches the nape, with just enough layering at the tips to give it a pleasant overall silhouette. We can all agree that Bollywood actors have some of the most stylish haircuts in the industry. 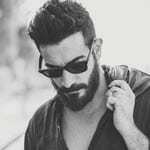 Known for their long and dark flowing hair, celebrities like John Abraham are one of the reasons why this hairstyle has become one of the hottest of the year. 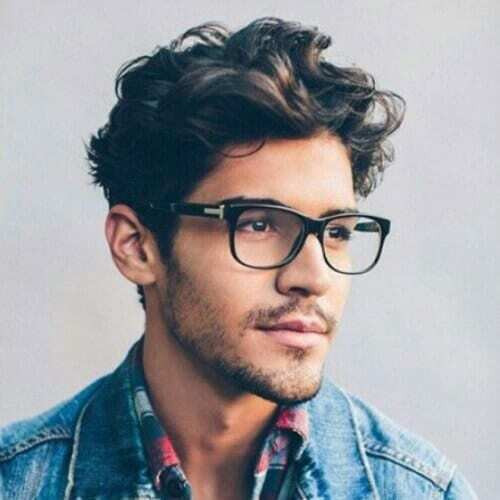 Even though most flow haircuts are based on messy styling, some have a clean cut allure to them. We recommend that you go for this approach if you’re usually paying attention to grooming habits. 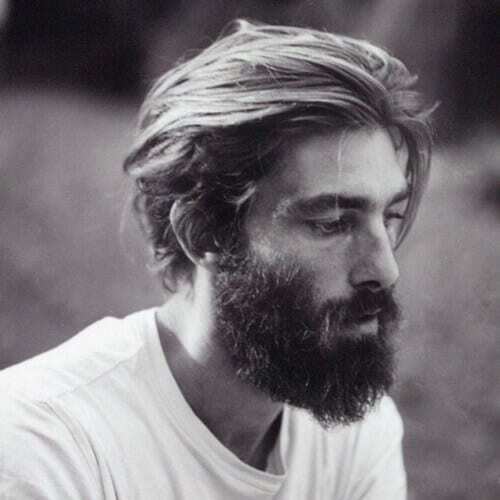 Pair the flowing hairstyle with a well-trimmed beard. 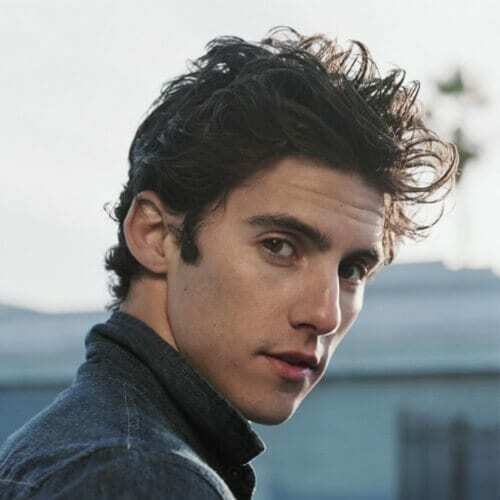 Milo Ventimiglia is yet another celebrity that has been rocking flow hairstyles since forever. 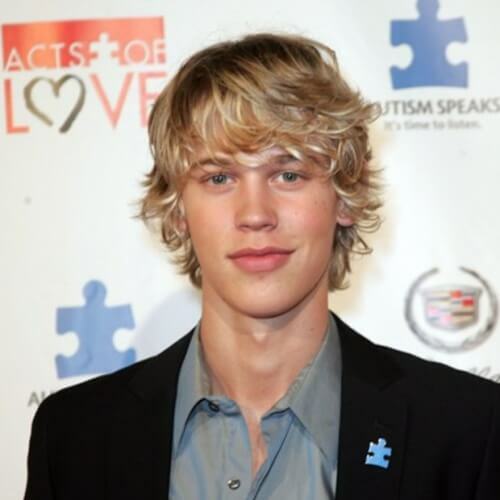 Even when he was young, like in this picture, he would carelessly style his hair as if it were a no-brainer. Use his previous or current haircuts as flow hairstyle inspiration. When it comes to having thick hair, you always have your fair share of ups and downs. If your thick locks have a bristle-like texture to them, you may have a difficult time pulling off a flow haircut. However, if your thick hair tends to grow in a flowing fashion, go for it. Once you have your flow haircut in place, it’s all up to you to select your styling preferences. One of the easiest and most effective ways to style medium-length hair is by simply brushing it backward. Sure, a few strands will fall here and there, but it’s all part of the hairstyle’s charm. Actor Dev Patel went from nailing brilliant roles in movies like the award-winning Slumdog Millionaire to receiving props from industry style specialists. Nowadays, he usually wears his hair about chin-length, with layers all around. So, you’ve decided on going with a flow hairstyle, but your hair is currently on the short side. What can you do to make it grow in all the right angles? It’s as easy as getting the proper starter flow cut, with the help of a skilled stylist. 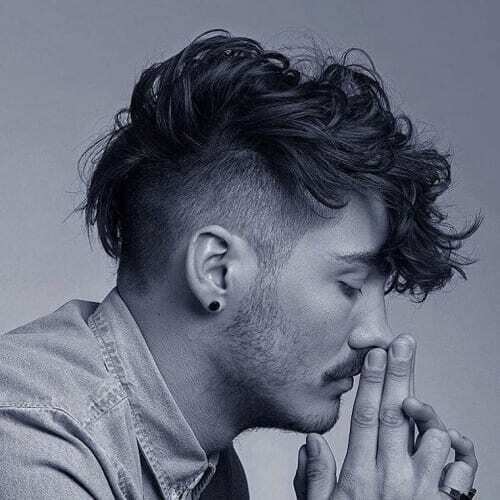 Hate ‘em or love ‘em, hipsters have some of the finest-looking hairstyles we’ve seen for years. 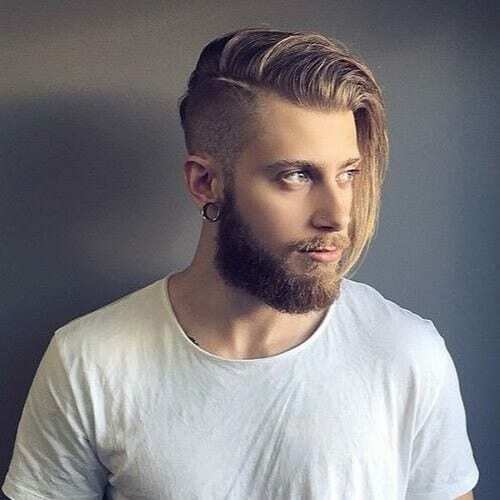 You can give your flow hairstyle a hipster vibe to it by cutting it shorter on the sides and in the back and leaving your hair longer on top. 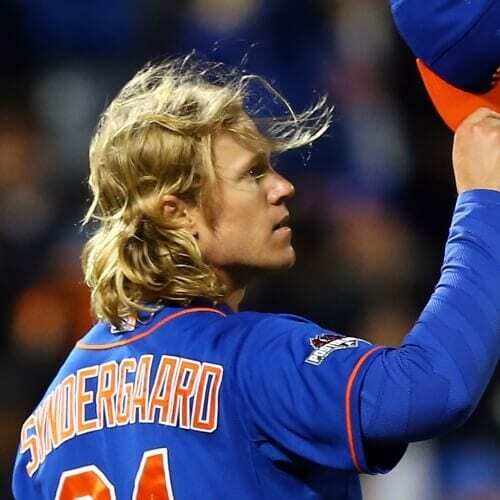 Another athlete that has a strong hair game going on is Noah Syndergaard. The Mets baseball player rocks his naturally light hair with a medium-length haircut. Thanks to his baseball cap, his locks won’t get in the way while he’s on the field. If you’re into the idea of a flow hairstyle, you should know that you can mix it with various types of haircuts. 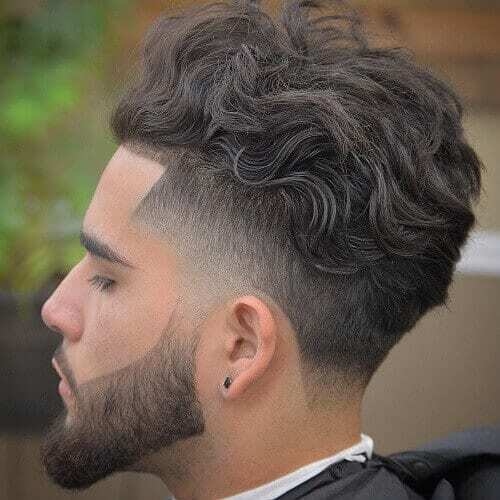 For example, you can leave the flowing part to the top and follow up with a taper fade for the bottom half of your hair. Flowing hairstyles aren’t only for fine hair textures. Actually, afro-textured flow hairstyles sometimes look even better than their softer counterparts. If you have this natural texture, you can let your hair grow longer and trim the edges to get the shape you desire. 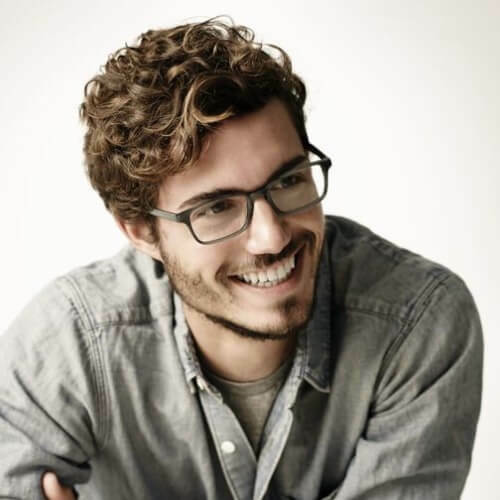 With flow hairstyles, you can effortlessly mix business and pleasure. Not all companies will allow their employees to have long hair at the office, but they can’t ban a well-cut medium-length hairstyle that expresses a business attitude. One of the most rebellious actors in the movie industry also serves as one of the greatest examples of celebrity flow hairstyles. 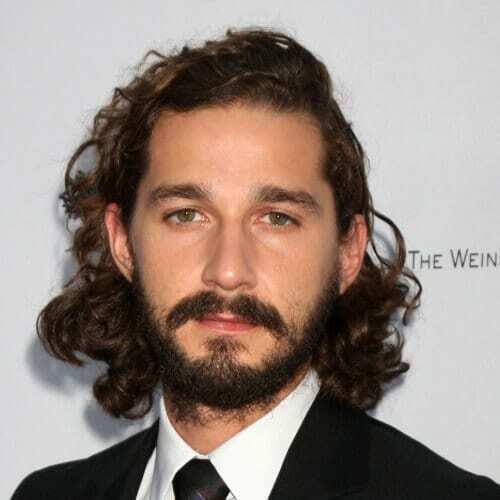 True to his personality, Shia Labeouf wears his loose curls combed back, complete with beard and mustache. Bradley Copper definitely saw the flow hairstyle trend coming a long way back. Ever since his rise to fame, the A-list actor has been seen almost exclusively with a flowing hairstyle, with his wavy hair gently brushed backward. 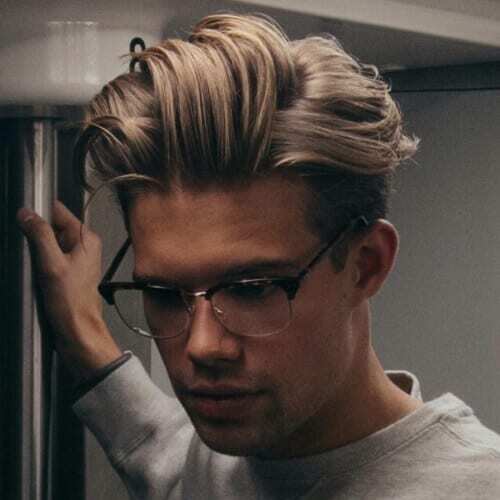 What if you want your hairstyle to be even more flowing, or at least seem like it? You can use coloring as a tool to accentuate the flow of your hair. All you have to do is dye your tips a few tones lighter than your base color for an awesome effect. In South Korea, k-pop dominates almost every industry, from entertainment to beauty and grooming. 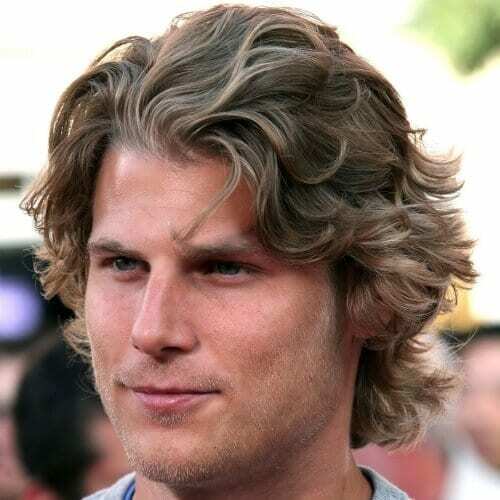 Almost all the male stars wear mid-length wavy hairstyles, usually with curtain bangs. 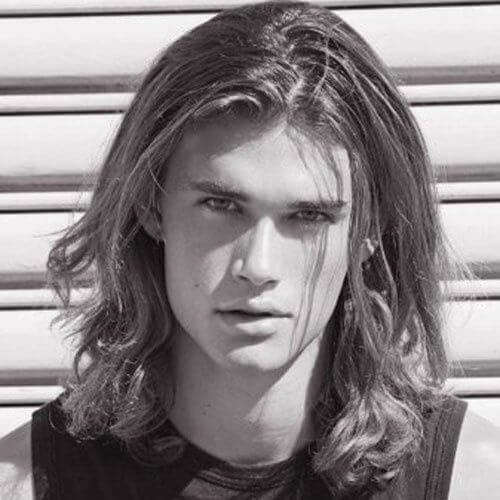 Get inspired by their trends for your flow haircut. Similar to the way colored tips work, ombres for men emphasize the flowing aspect of the hairstyle. If you don’t want yours to come across as too flashy, you can opt for an earth tone for your ombre. 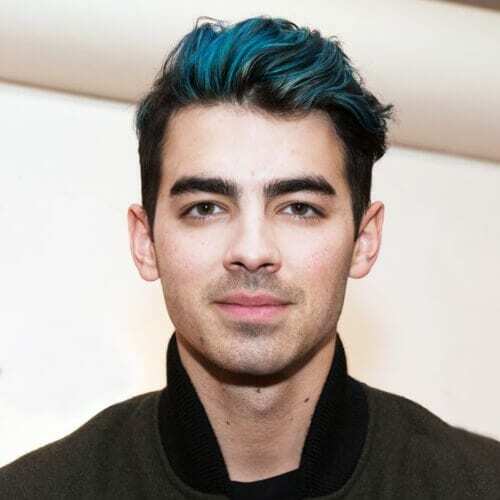 On the other hand, you can also flaunt an electric color, like Joe Jonas in this photo. 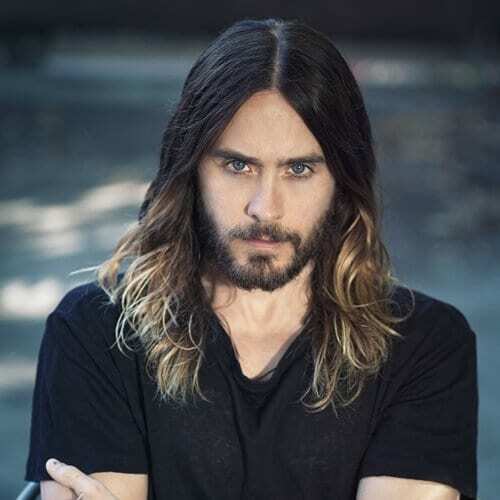 To continue our list of celebrity flow hairstyles, we’ve reached the multifaceted Jared Leto. Throughout his extraordinary career in film and music, Leto has never been afraid to show his rebel character through his appearance. You can use his flow haircut with lowlights as inspiration. Some men are most flattered by adding contrast to their looks. 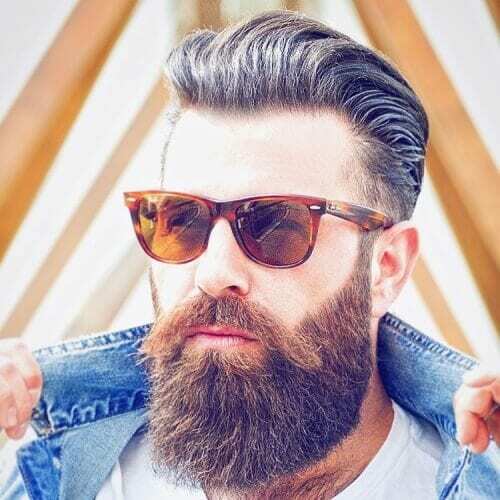 In other words, you can try out a flow hairstyle and counter it with a thick beard. This way, you’ll not only balance out your image, but you’ll also have an even manlier touch to it. You can always count on Italian celebs for showcasing flawless style. Take renowned fashion blogger Mariano Di Vaio, for instance. In this pictorial, he rocks a highly styled flow haircut that would make any man envious. If you chose to keep your hair long and flowing, there aren’t any limits to the types of hairstyles you can play around with. A constantly trending choice would be the man bun, especially since you can actually pull it off without looking like a rooster. On this note, men with significantly long hair don’t even have to struggle with styling it if they’re not in the mood. If your hair surpasses your shoulders, you can casually leave it down and look amazing when tossing it to one side or the other. Shaved sides have been among the top grooming trends for men for years now. 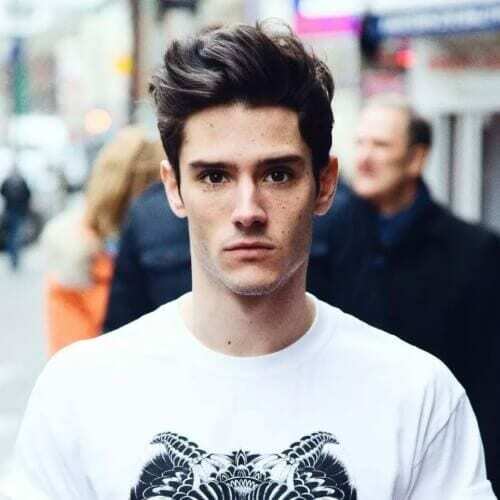 They’re a simple yet effective way of getting the bad boy look, especially if the top is longer. 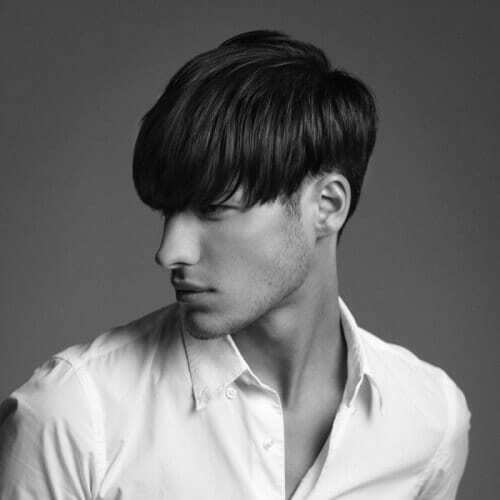 Enhance your flow hairstyle by taking this haircut into consideration. 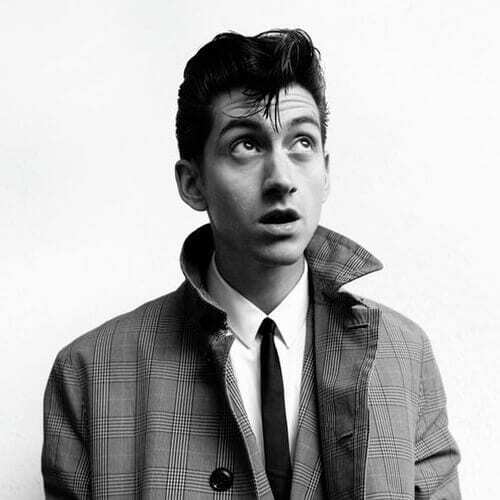 Alex Turner of rock band Arctic Monkeys often seems like he was born in the wrong decade. The musician visibly has rock and roll in his veins, an aspect that can instantly be noticed through his image. He nails the greaser hairstyle like few others these days. There aren’t many popular hairstyles out there that can beat the versatility, aesthetics and practical qualities of the quiff. 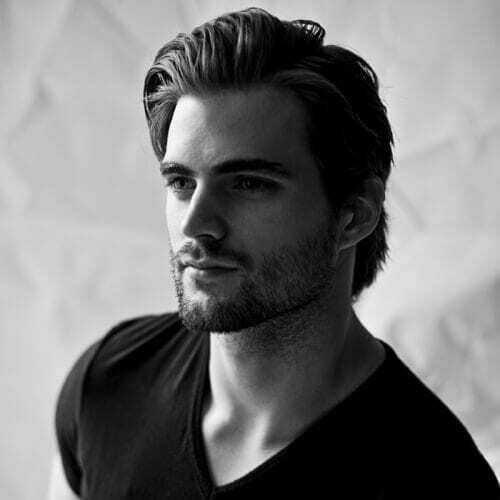 The upwards and side-swept hairstyle works extremely well for men who want to get a short flow hairstyle. Want to put more personality into your hairstyle? Explore vibrant colors to bring out the best in your flowing locks. You can pick any color your heart desires – from natural shades like copper or blonde to atypical tones like green or blue. The good ol’ pomp is one of the few hairstyles that has withstood the test of time throughout the decades. For more than half a century, the pompadour has been rocking the charts for men and women’s hairstyles alike. 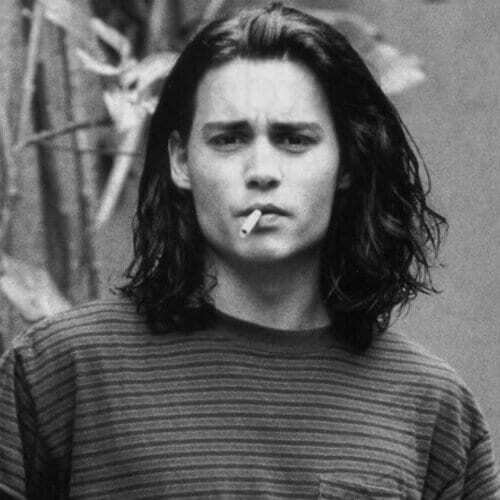 We’re pretty sure that everyone expected Johnny Depp to be a rebel even from his teenage years. Thankfully, older photos of the exceptional actor show that he had shoulder-length flowing hair to complement his teen rebel personality. To get back to the present, here’s an artist that has melted the hearts of fans all around the world through his talent and looks. 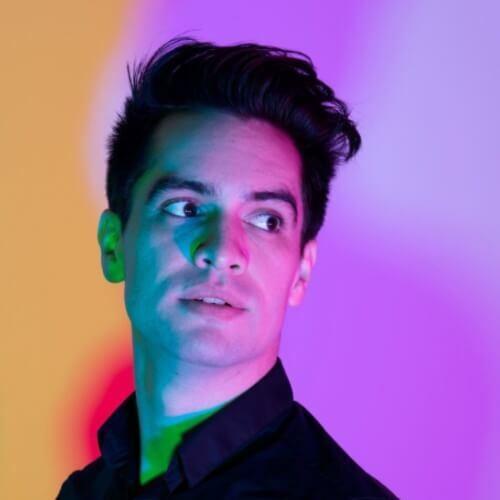 Brendon Urie, the frontman of Panic! At The Disco, has been a staple of the flow hairstyle since the beginnings of the band. You can always spice up a classic flow hairstyle with haircutting details. Asymmetry is a good choice, but you can take your looks to the next level with shaved line designs. Whether you get a hard part, surgical line or both, you will look outstanding. Genuine surfers aren’t as preoccupied with their looks as they are with the water sport. That’s one of the aspects that make their signature hairstyle so irresistible to begin with. They don’t focus on getting a flow hairstyle; they just own it. 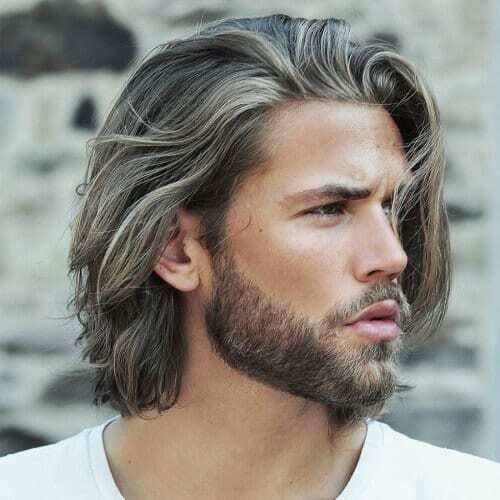 If you have straight and silky hair, be prepared to be running your hands through it a lot with a flow hairstyle. Due to the texture of your mid-length locks, it’s impossible for them to stay in place without any hair product. But, hey, loose strands across the forehead are highly attractive. 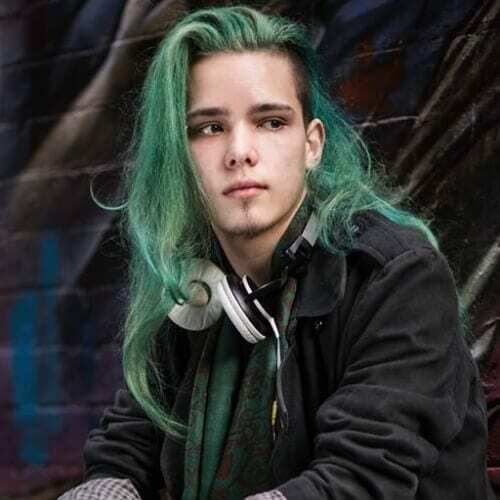 Whether you’re a huge fan of the subgenre popularized by Nirvana or you’re usually careless with your looks, a grunge flow hairstyle is ideal for you. You can allow your hair to grow up until your shoulders (or even longer) and just leave it the way it is. 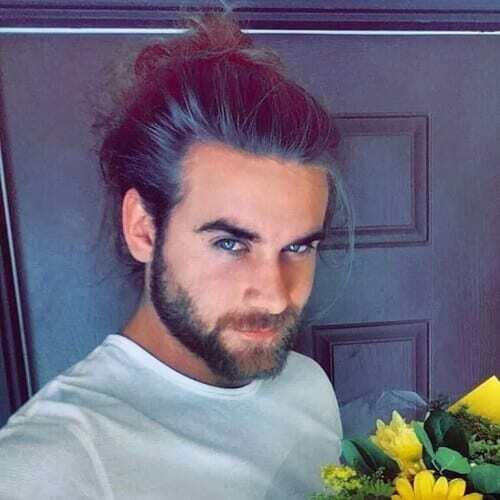 A styling alternative for the man bun is the top knot, especially if you have long, thick and flowing hair. 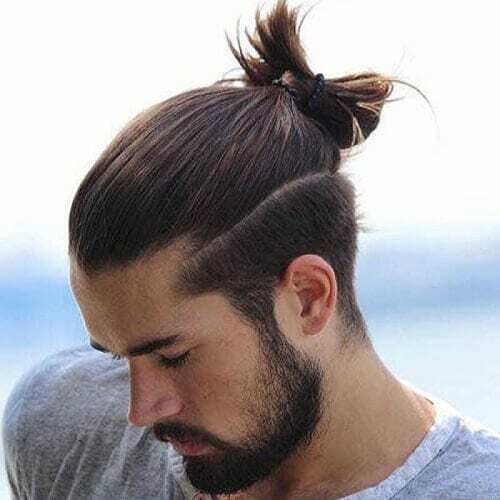 The hairstyle follows the method used by samurais to tie their hair up, which is also one of the reasons why it’s referred to as the samurai bun. We have talked all about pro skater Curren Caples in our skater hairstyles article, but his flow hairstyles deserve a spot on this list as well. He usually appears at events with medium-length hair, whether framing his face or down to the back of his neck. 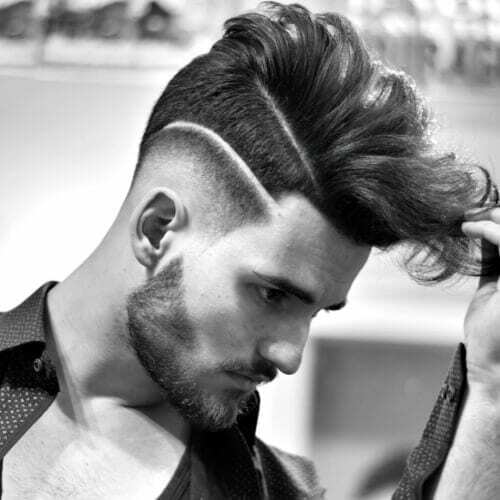 If you feel that something is missing to make your flow hairstyle memorable, you should dive into undercut ideas. 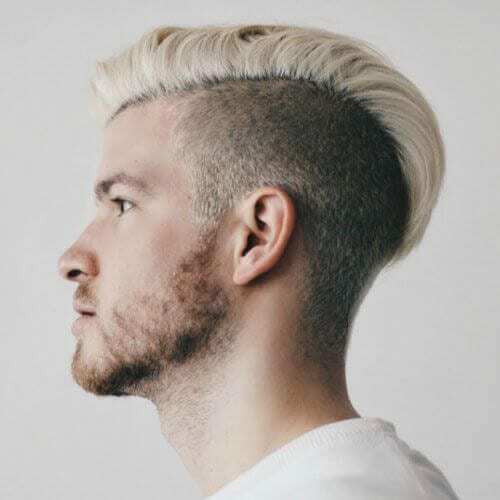 No matter if it’s disconnected or faded, an undercut can shape your overall hairstyle and give it a good boost of attitude. Provided your hair is at least nape-length, you can experiment with all kinds of flowing hairstyles aside from traditional ones. Aside from wrapping your locks in a man bun, you can also choose to loosely style them half up half down. Whether you like it or not, the bowl cut has made an insane comeback this year. However, it’s important to know that it has a slightly different silhouette, complete with an undercut to shape the hairstyle nicely. 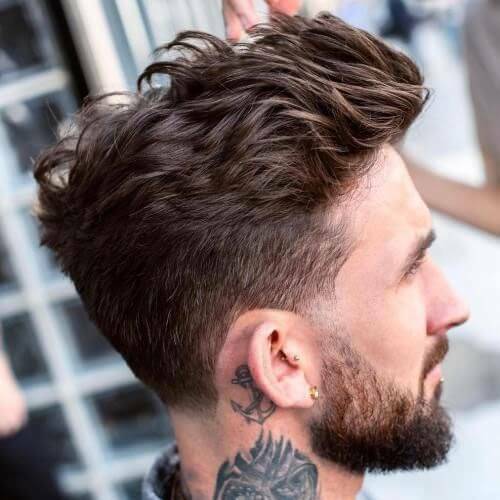 Flow hairstyles and shaggy hairstyles are almost synonymous, but the main difference is in the choppy haircut that lies at the foundation of the look. If you want to get your shaggy vibes on, make sure your hair is cut in jagged layers. Faux hawks are usually seen as short hairstyles that mimic a mohawk. 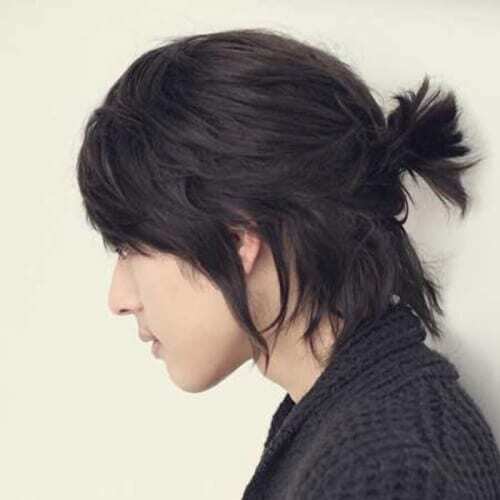 Nevertheless, they can also do the same job with longer hair, especially if you want it to become a flow hairstyle. 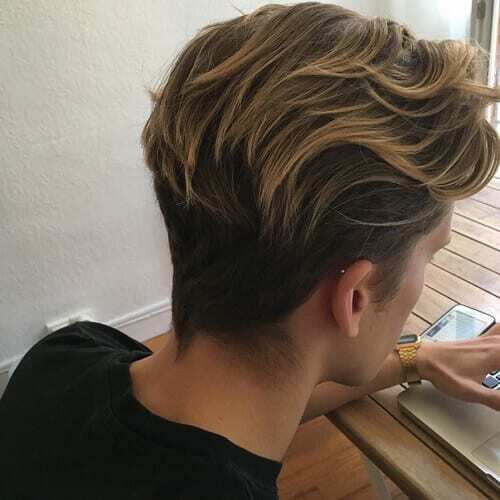 Basically, you have to get an undercut in a U-shape to master the look. You can probably tell by now that lack of caring is essential for a cool flow hairstyle. 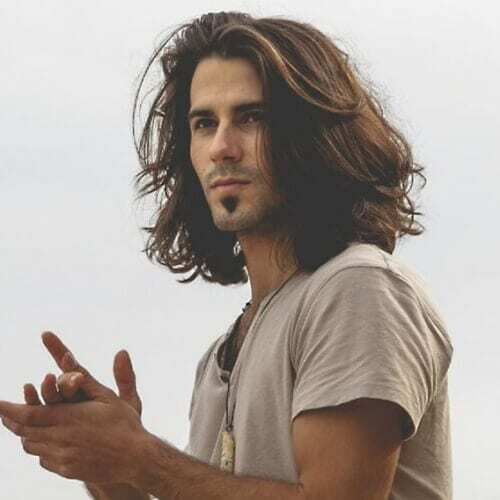 All we want to do is support the idea with yet another example of awesomely messy, nonchalantly styled, flowing hair, which doesn’t rely on a specific texture. 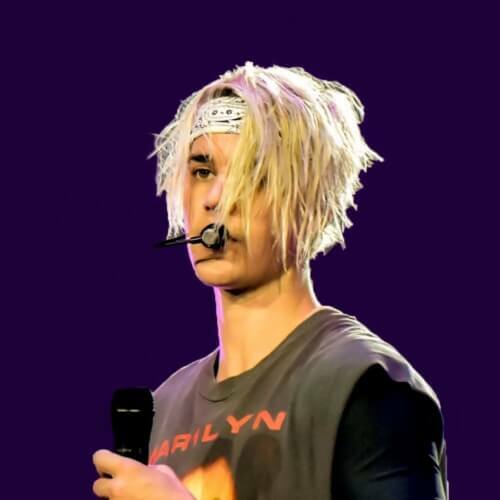 Justin Bieber has went from being a sweet preteen with an emo-like haircut to a fully tatted bad boy with teased hairstyles. 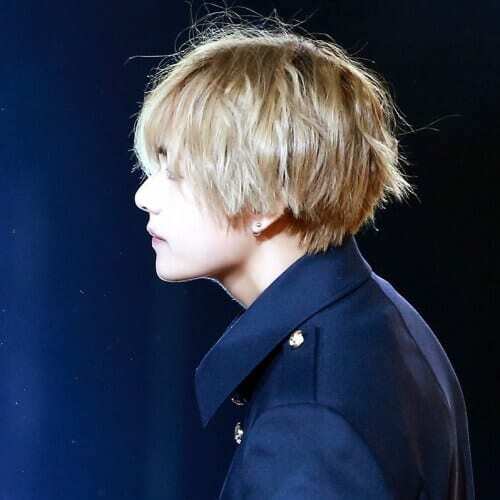 What we like about his look in the photo above is that his flowing hair is cut at a slight angle, gradually getting shorter towards the back. To sum up, a flow hairstyle may just be the much-needed change in image you’ve been thinking about this year. It has all the qualities that you could want from a haircut – easygoing, careless and alluring. 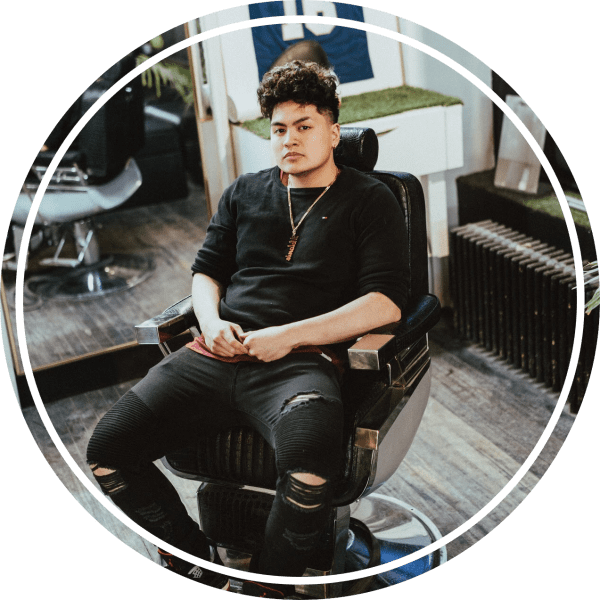 Considering that the flow hairstyle has recently been identified as a trend of its own, we recommend taking one of the photos above with you when you go to your hairstylist.